Dr. Scott Parker provides dentistry in a friendly and professional atmosphere, and patients love the gentle, personalized care provided by our helpful team. Dr. Parker provides patients dental care that is professional, gentle and caring. Our team goes above and beyond to ensure your time with us is comfortable. Patients are never rushed, and we take pride in providing warm, welcoming experiences. Not all dentistry is created equal, and the quality of our work stands the test of time. Our practice welcomes insurance from all PPO providers and offers affordable financing. Here in Calimesa, patients can look forward to much more than just the typical, informal dental care experience. 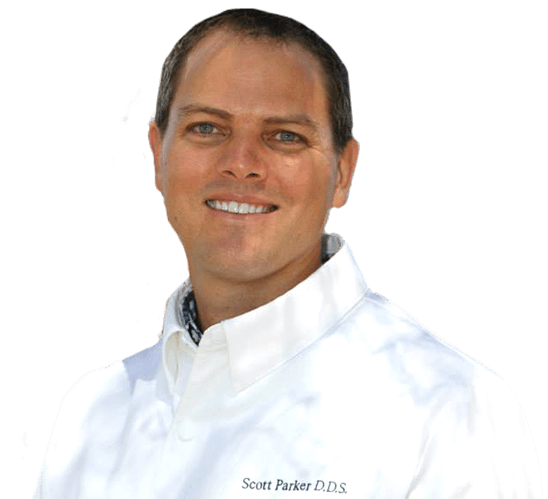 Dr. Scott Parker is passionate about his work and devoted to pursuing continuing education at every opportunity for your benefit, and he’s built an excellent team of professionals who are all ready to support people in need as they work towards better, brighter smiles. Whether you’re looking for a routine check-up or a stunning cosmetic change, you’ll always be treated right in our conveniently located practice. Our team loves welcoming patients of all ages, and we’ll work hard to help you preserve and maintain excellent oral health for many years to come. Quality preventive dentistry is one of the best ways to make that happen – after all, isn’t it much easier to stop dental problems before they even get the chance to start? With in-depth oral examinations, revitalizing hygiene, and other personalized services for children and adults alike, you and your loved ones can look forward to smiling brightly. When a tooth is damaged or lost altogether, your smile’s confidence and function can suffer as a result. Don’t settle for this as the new normal – contact our Calimesa, CA practice today to schedule the effective restorative care you need! Dr. Scott Parker offers several excellent options for regaining strong, capable dental structure, including custom-made dental crowns and bridges. These restorations are versatile, high in quality, and built to last for several years to come. Even perfectly healthy teeth can fall victim to frustrating dental flaws like chips, stains, gaps, and more over time. If you’re ready to give your smile a makeover, porcelain veneers could be the ideal comprehensive solution that transforms your appearance and self-confidence all at once. These high-quality restorations are designed to be extremely thin, allowing them to fit over the surfaces of certain teeth and create a brand-new look all at once. The process only takes a few short appointments! Do you constantly feel exhausted every day, no matter how many Z’s you caught the night before? Are morning headaches and sore throat a regular part of your routine? These are common symptoms of sleep apnea, a condition that’s characterized by the blockage of your airway during rest, leading to chronic snoring and other unpleasant consequences for your overall wellbeing. Thankfully, customized oral appliance therapy from Dr. Scott Parker can make a big difference, helping you wake up refreshed and ready for the day ahead. Tooth loss can be a devastating blow, but it doesn’t have to be permanent. Here in Calimesa, patients in need can find caring support and high-quality reconstructive solutions with Dr. Scott Parker, including state-of-the-art dental implant restorations. Because of their revolutionary structure, implants replenish oral health while creating a seamlessly natural appearance that’s strong and functional – in fact, it’s virtually impossible to tell them apart from your natural teeth! Our team looks forward to making every aspect of your dental care experience headache-free, including when it comes time to pay. We’ll be happy to file paperwork for PPO insurance plans on your behalf to maximize your benefits, and affordable payment plans through CareCredit are also accepted.